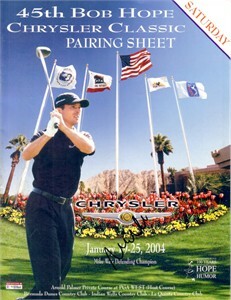 Magazine size 2004 Bob Hope Chrysler Classic pairings guide autographed on the cover by 2003 winner Mike Weir. ONLY ONE AVAILABLE FOR SALE. With certificate of authenticity from AutographsForSale.com.